Liking these cute bracelets from Starlet Charm. All of their pieces are made of sterling silver, 100% Egyptian cotton thread and are made in Switzerland. 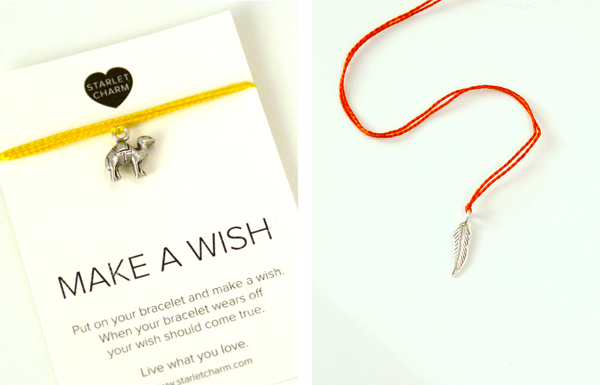 The idea is you put your bracelet on, make a wish and when it falls off your wish comes true. Wouldn't this be a great gift?